To better understand how a hotel marketing should be nowadays, let’s start by explaining what GDPR is. GDPR stands for General Data Protection Regulation. GDPR is a massive section of legislation which grants people living in Europe new powers over the data collected about them such as, the right to access or omit their data, and the need for their consent to use it. According to Forbes, with this legislation in action, Fortune 500 and FTSE 350 businesses have been enforced to spend billions of dollars in turmoil ahead of the 25 May 2018 deadline for the EU’s new data law. Moreover, according to the International Association of Privacy Professionals (IAPP) and EY, big British firms have now destroyed a combined USD 1.1 billion while preparing for GDPR. For American companies, the total figure has reached an outrageous amount of USD 7.8 billion as the U.S. in 2018. Based businesses have to splash more money than their British counterparts to evade the multimillion-dollar fines threat and penalties from the EU. The Forbes study also recorded some FTSE 350 companies that have well established in-house legal teams are facing significant costs because they don’t have the subject expertise on data privacy. Hotel Marketing: How Are Hotels Using Customer’s Data To Increase Revenue And Connect With Customers? According to Magic circle law firm Slaughter and May, 20% of the FTSE 100 among its clients, lists GDPR on its website amongst its top areas of expertise. 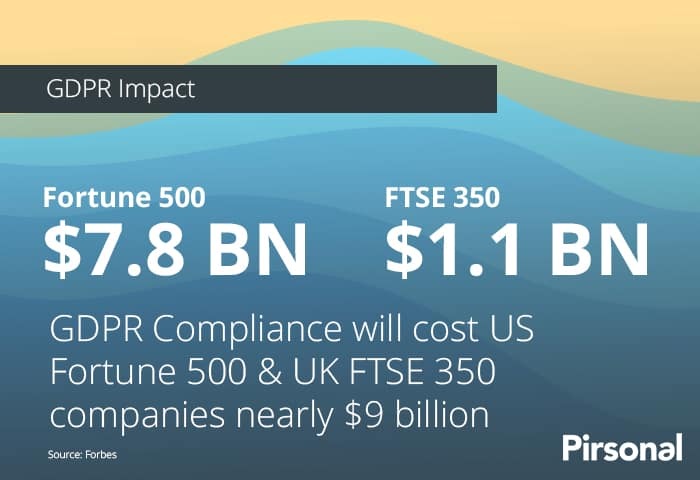 Furthermore, some of the U.K. companies are spending up to 40% of their total GDPR compliance budgets estimated by the IAPP to be around USD 2.4 million among FTSE 350 firms on legal advice alone. Thus, in the U.S., legal fees and compliance costs are rising. GDPR costs the average Fortune 500 company an enormous amount, i.e., USD16 million. Apart from lawyers, companies are also spending millions on consultants, new technology, and, crucially hiring. GDPR forces large companies to appoint a ‘Data Protection Officer’ (DPO), a role that commands a salary between Euro 50,000 (USD71,000) and Euro 250,000 (USD354,000) depending on the size of the company. IAPP estimated that around 28,000 DPOs are required across Europe. 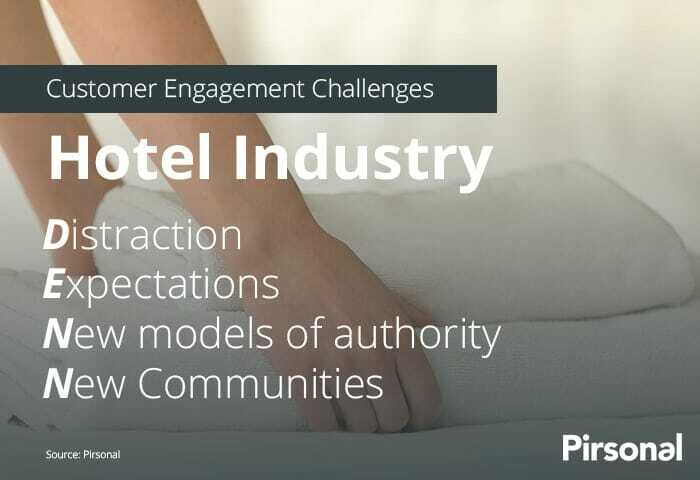 With changing time and increased competition, many hotels now have started using hotel industry business insights to take relevant business decisions, ultimately to increase hotel revenue. Using customer’s data such as leave calendars, anniversaries and special days, hotels can offer increased efficiency by accurately predicting the demand for rooms and pricing accordingly to earn more profits. Hotel marketers also understand when to lower rates just enough so that they fill their rooms at the highest possible price. 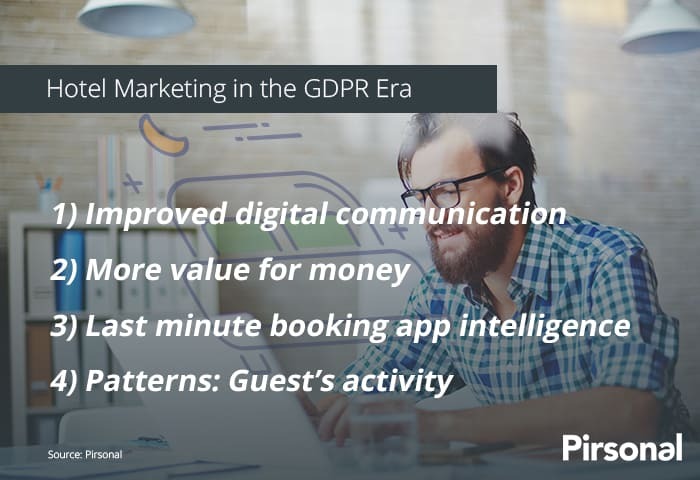 Even better, hotels can also create personalized marketing campaigns, for example with personalized videos as part of a solid hotel marketing strategy or create database marketing strategies if these strategies are properly aligned with GDPR. Here you have a personalized video example for a hotel to increase customer engagement. Our partner Open Box Channel designed this one. These types of personalized messages are usually added in the pre-booking emails as part of the guest onboarding process. Personalized videos are 115% more effective than generic videos, so you can see an average 160% higher CTR. As you can see, these videos are powered by customer’s data, which provided this context increases the conversions and customer attention time span. Apart from this, by using customer’s information to offer personalized experience within the customer journey, hotels can understand the sorts of guests coming through (i.e., business people, big spenders, families) and help them know the most suitable offerings for customers to focus their efforts on the same. For instance, if the majority of guests are professionals staying one or two days for business meetings, offering strong wi-fi, conference rooms, or free breakfast at an increased price will generate more revenue. 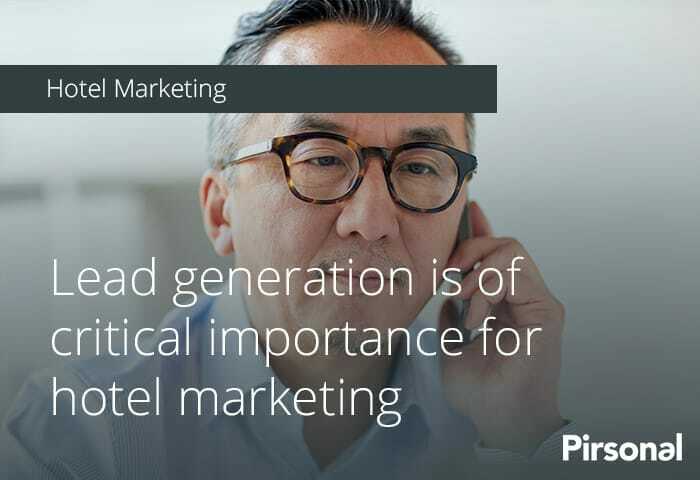 A key goal in marketing to new prospects in the hotel industry is focused on lead generation, especially when hotels are increasingly recognizing the value of establishing close customer engagement strategies. Lead generation is of critical importance. Group buyers rarely purchase directly from an email or another form of communication. The goal is to get them interested enough to call, send along contact information or submit a request for proposal (RFP) so that a sales manager at the hotel or resort can pursue the lead. Choosing the right one or the right mix will help you know how to best measure a successful hotel marketing combo to increase revenue per booking and connect with your customers while building a loyal database that can only expect value from each one of your messages, products, and offers, and even from your front desk team.